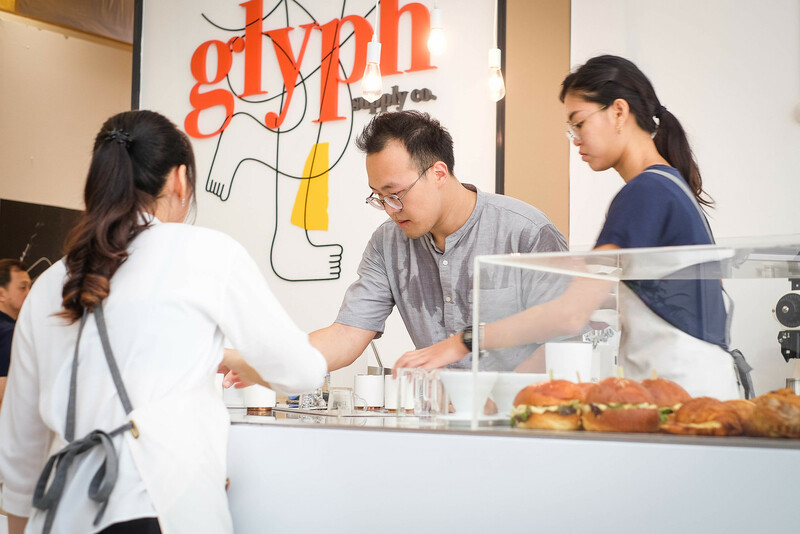 Glyph Supply Co. is a quiet coffee gem in the newly renovated 111 Somerset. 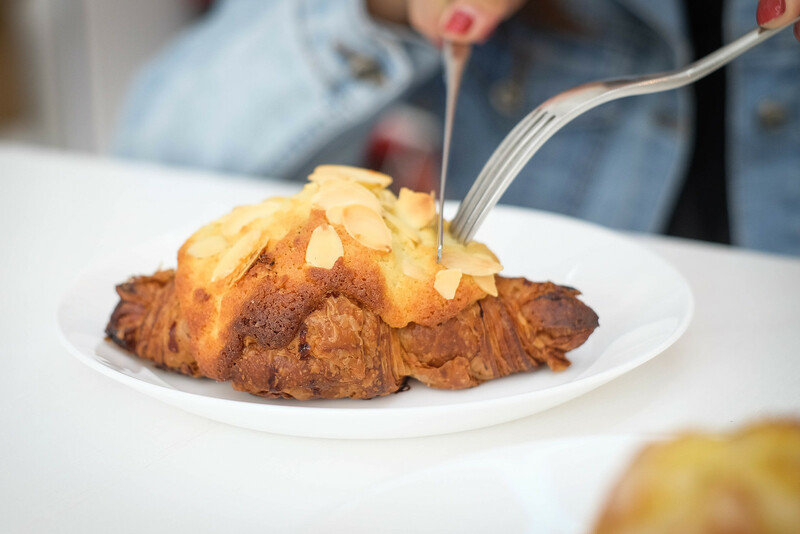 Pop by for a mid day perk-me-up and escape the hustle and bustle of Orchard Road. 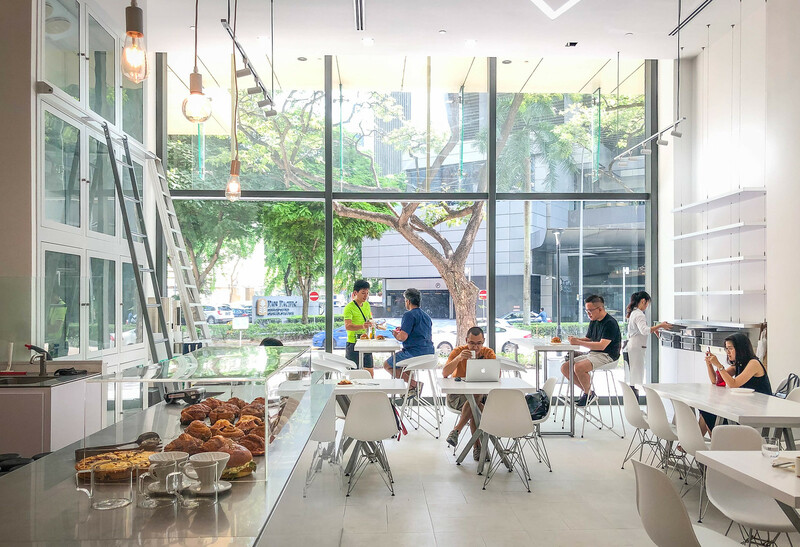 In addition to delicious coffees, this minimalistic coffee shop offers cakes and pastries that are supplied by Carpenter & Cook. 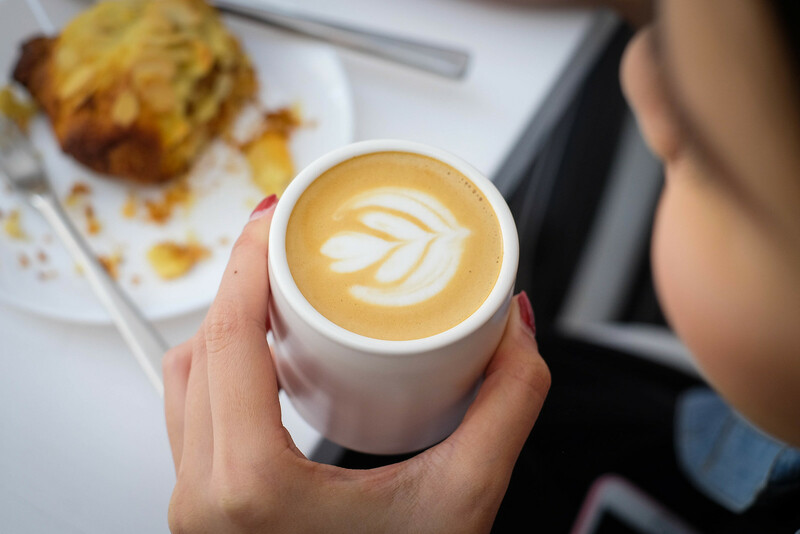 Kick back and relax with a cup of flat white or latte, go through the morning paper, or sit at the espresso bar and have a chat with the baristas while they make your filter coffee. 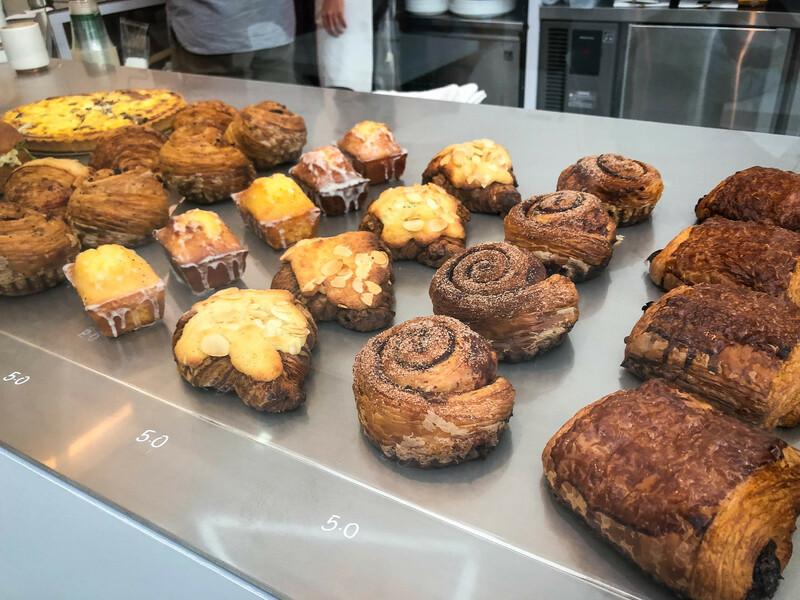 We needed a quick brunch fix so we ordered a few bakes to share – Earl Grey Lavender cake, Almond Croissant ($5) and Lemon Drizzle Loaf ($5). 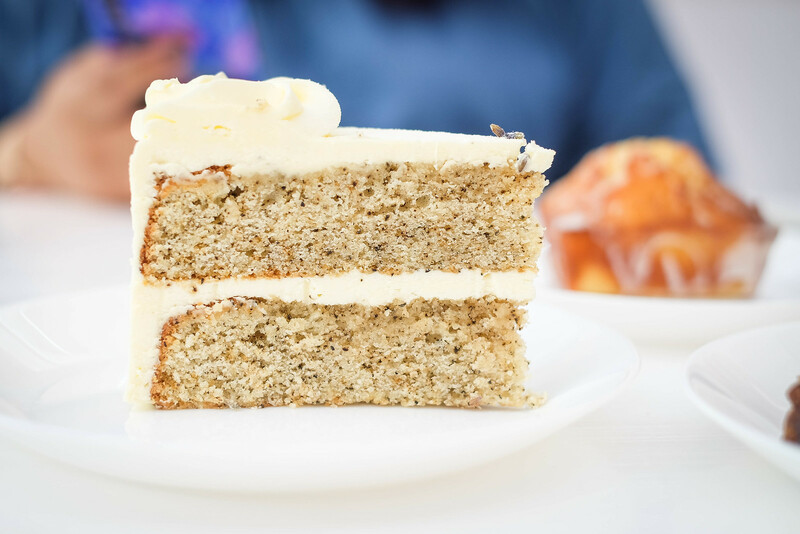 The cake has a subtle earl grey tea aroma, which is complemented by the generous lavender buttercream. 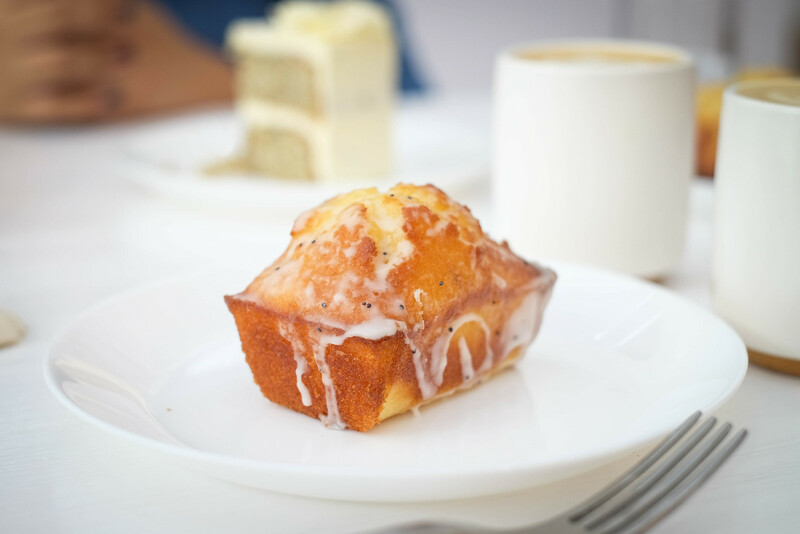 I like the Lemon Drizzle loaf, a signature of Carpenter & Cook. It’s moist and citrus-y, with just enough sugar glazing to add a good amount of sweetness to the loaf. Maybe it’s just me but I find it surprisingly difficult to find a good cafe in Orchard. 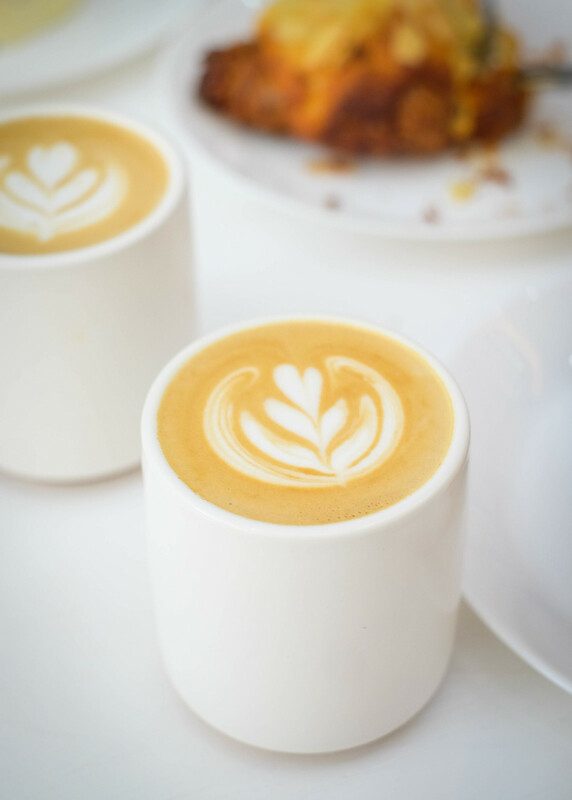 Now, finally there’s one that serves great specialty coffee with yummy light bites. 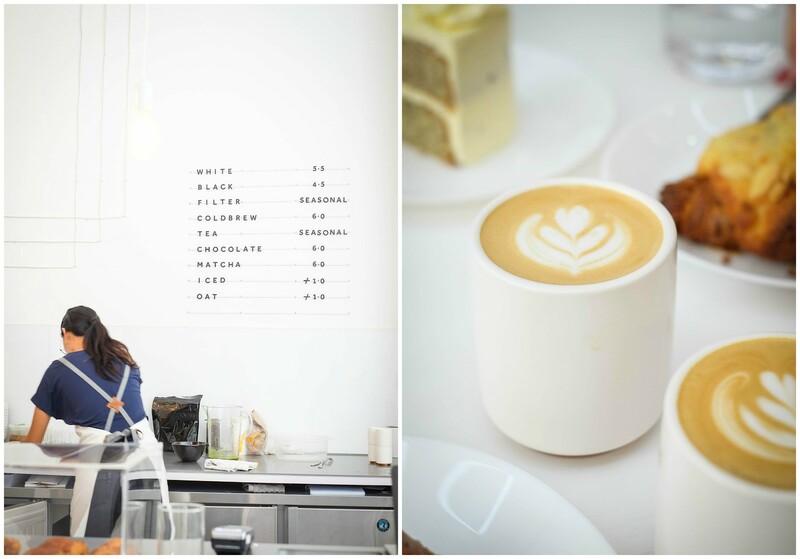 The cafe roasts their own beans which are sourced from Ethiopia. The coffee is smooth and creamy. The baristas are knowledgable and explain everything to you as you go. 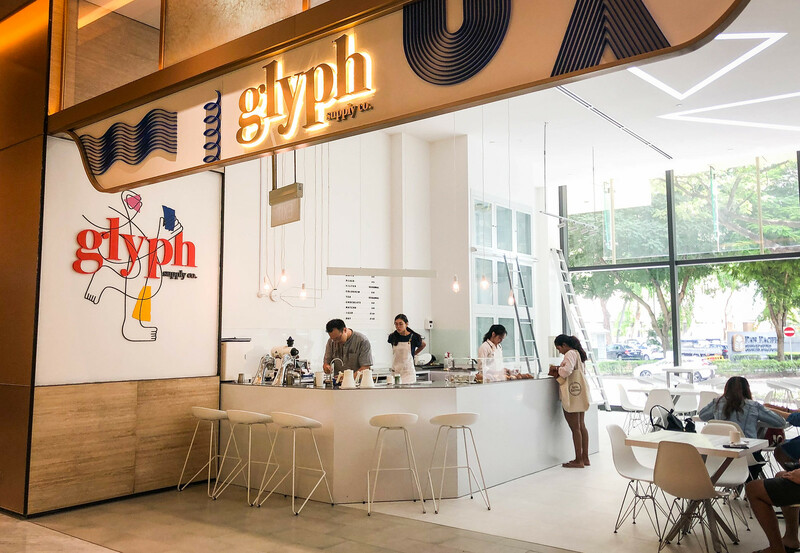 If you are looking for a place that takes coffee seriously or wish to spend a moment people watching in peace, Glyph is the place for you.